"...she values the translation of her poetry into English, as well as into other languages, to plant her poetry on the globe." Yumiko Tsumura’s translations of poems by Kazuko Shiraishi, also known as “the Allen Ginsberg of Japan,” appeared in our Winter 2016 issue. Recently Tsumura corresponded via e-mail with Interview Features Editor Ryan Mihaly. Your first book of translations of Kazuko Shiraishi’s poems dates back to 2002. When did you first meet Kazuko, and how did you begin working with her? I met Kazuko Shiraishi on September 30, 2000 in Tokyo. My co-translator, Samuel Grolmes, my late husband, and I had been working on a translation of Ryuichi Tamura’s poetry, ever since he was the first guest to the International Writing Program (IWP) at the University of Iowa established by Paul Engle. I was working on my MFA in poetry and translation and Sam was an assistant director to Paul Engle, and we started translating Tamura’s poetry during his stay at the IWP. Tamura’s “The World Without Words” was published [in] New Directions Annual 22. When our book Tamura Ryuichi Poems: 1946-1998 was published early September 2000, Shichosha, the publisher of modern poetry, held a symposium in Tokyo called “How to Surpass Tamura” on September 30, 2000. Kazuko Shiraishi was a great admirer of Tamura’s poetry and one of the panelists. During that meeting she came to ask Sam and me to translate her poetry. One of the first things I notice about your translation is that you spell out most words in lowercase, except for names of places (“Hudson River”) or songs (“Bye Bye Blackbird”). What was your thought process behind that decision? As Kazuko Shiraishi experiments with theme and form, she frequently violates conventional Japanese syntax, grammar and traditional lyricism, and pushes the boundaries of language and explores new horizons of awareness. My translation attempts to retain the physical layout of the original poem in terms of spacing and structure and to reflect the tone of her colloquial monologue and her experimental free form. Choosing to write in lowercase with minimal punctuation is part of capturing her idiosyncratic style. Several words are italicized in English, giving them a particular emphasis. How do these words appear in Japanese? Can you tell us why you decided to italicize them in English? Foreign borrowed words from Indo-European languages are normally written in katakana. Shiraishi chooses to use katakana for words normally not written in katakana, in order to achieve a psychological and visual impact. I italicize these words in English to reflect her choice. What exactly is that psychological impact for the Japanese reader? For example, when she reads the word ハッパ in the recording of “By the Hudson River,” the listener might not know the word is in katakana. As you explain in your note, the word is normally writtenはっぱ or 葉っぱ. So what happens when they see the word on the page written in katakana? Is it funny, sad, surprising, disturbing? In this example ハッパ is emphasized on the page, but obviously not in the spoken version. When a Japanese reader sees the word on the page, her use of katakana, ハッパ, grabs a reader’s eye and causes the reader to pause and contemplate the poet’s intention. This slows the pace, giving a surprising visual and psychological impact to the word. In the context of this poem, it emphasizes the sad, pathetic yet resilient surviving human being going with the flow of the river. This use of katakana is one of the ways she violates the rules of modern Japanese written language for a specific effect. 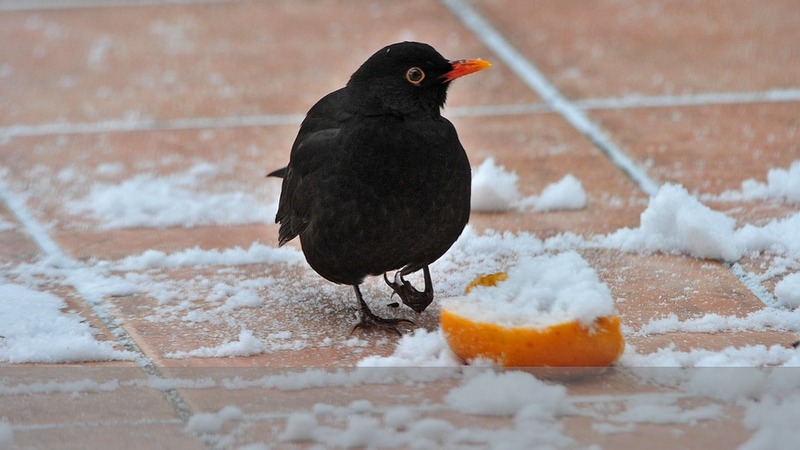 The poem “Bird” refers often to “Bye Bye Blackbird,” the famous jazz standard. The poem itself reads like a song, like another take or a riff on “Bye Bye Blackbird.” We can also hear Shiraishi read “By the Hudson River” with trumpet player Itaru Oki. It seems that her poetry is written to be read out loud. She has also been known as Japan’s leading Beat poet. What has been your approach to capturing the influence of jazz, spoken word, and Beat culture on her poetry? Have you discussed these influences with her? The Beat movement impacted Shiraishi with a force of free vision and anti-establishment provocation, but she does not write poetry to be read out loud. She was a close friend of Allen Ginsberg, but was a lone star with the independent stance of her experimental surreal poetry. Her subject matter has expanded to a concern for mankind, earth and myth expressed in short poems to extremely long ones. Shiraishi started reading her poetry in 1960 with jazz musicians and was a pioneer, opening a new territory for modern Japanese poetry in Japan. She usually reads her poems without musical accompaniment in international poetry festivals and universities, but in Tokyo she frequently reads with a jazz band or trumpeter Itaru Oki. When she is on stage reading her poems with jazz musicians, she sometimes inserts improvised words, in the middle or at the end of the poem. I have often discussed with her the difficulties of transmitting her use of conversational tone and solecism in English translation, and she is fully aware of them. Nevertheless, she values the translation of her poetry into English, as well as other languages, to plant her poetry on the globe. The following interview is a feature from Asymptote‘s Fortnightly Airmail. Sign up for the Airmail—which is stock full of such goodies, and arrives but once a fortnight!—here.